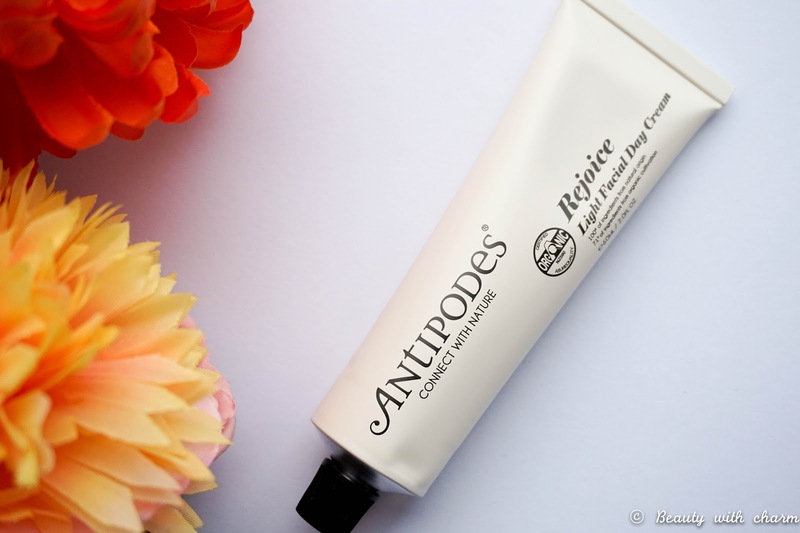 As part of Organic Beauty Week which starts next week on the 14th & ends 20th of September, I wanted to focus on Antipodes Organic Skincare*. They have only been introduced to my skincare routine quite recently (if you want to check out my first impressions on the brand I've got a detailed post all about it here). 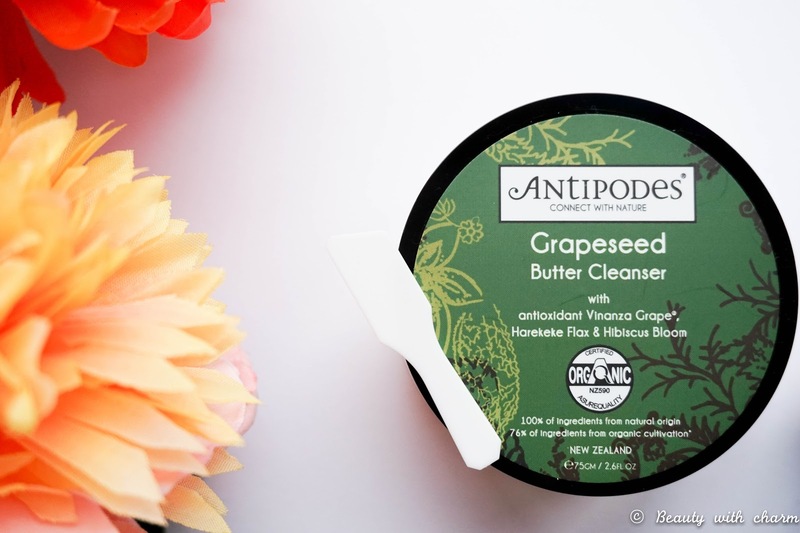 Personally I've never focused on having an organic only skincare routine or even general beauty products for that matter, but after being introduced to Antipodes & noticing that they are just as effective as brands without the approved organic stamp, I was more than just impressed. I still haven't changed all my beauty products to organic approved one, as I own such a huge collection that it would be impossible to even attempt it, but with Organic Beauty Week making an impact in my calendar this year I decided to switch up my skincare routine for the week so I can truly focus on using natural & organic products. The three skincare products I have on display today are known as Antipodes' skin hero products, individually loved for a variety of reasons by some of the world's biggest supermodels (you know what they say if it's good enough for Cara Delevigne, it's good enough for me). Considering I've only been using the products for less than 2 weeks now I can't exactly give you a detailed review but I can express my first impressions & just how I've incorporated the products into my routine for a more organic skincare routine. 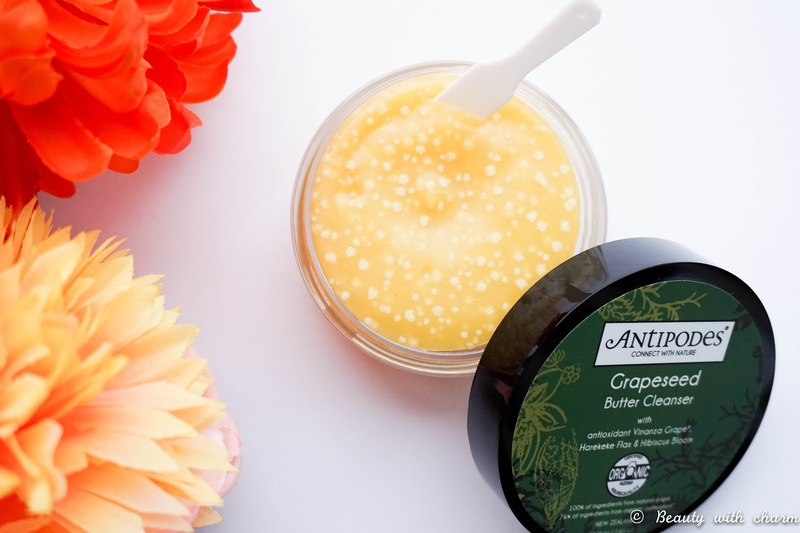 First up its all about the Grapeseed Butter Cleanser* (£24.99 for 75ml), which is presented in a plastic tub as a solid formula with a spatula included too for scooping out the product. This cleanser contains nourishing cocoa butter, soothing oils & Vinanza Grape antioxidant as the main ingredients, so it will give you deeply cleansed skin while maintaining the hydration levels. I have to say this is probably my least favourite product of the bunch because the scent is quite strong & as I have mentioned many times I have a super fussy nose. It's not the kind of scent that lingers on the skin for hours but it is strong when you first apply it & massage it into the skin. What I do love about the formula is just how silky it feels on the skin, it literally melts away as soon as I start massaging it. With a buttery cleanser like this I do think a flannel/muslin cloth is best used to remove the oily residue from your skin. In turn you are then left with deeply cleansed & exfoliated skin, so it's just a shame that the brand haven't included a cloth. I prefer to use this in the evenings as it's the only time I have to myself to really focus on my skin, plus it removes face makeup really well too (I haven't tried the eyes as it's not suggested in their instructions). Next up the Rejoice Light Facial Day Cream* (£26.99 for 60ml), which comes in the brand's signature tube packaging that I personally find quite vintage & attractive to the eye. 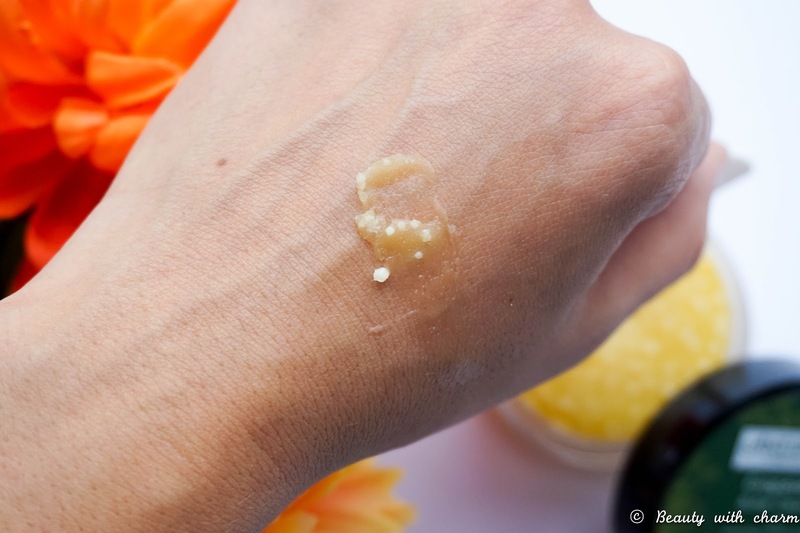 The cream is non-oily & feels very light when blended out, it actually has a semi-matte finish to the skin so perfect for combination or oily skin types. The main ingredients are manuka honey, sweet almond & avocado oil which work with your skin's natural hydration, whilst offering antibacterial, healing & protective benefits too. I'm still quite unsure of this product because I tend to have dehydrated/dry skin the majority of the time, so I'm not sure if it's the best suited cream for me personally. 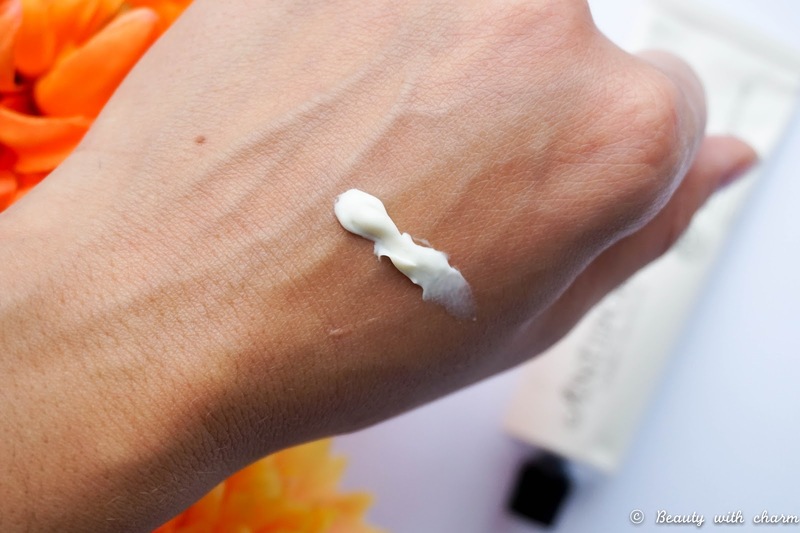 I do however love the milder scent with a hint of sweetness to it and at the moment it's been working really well for me when I pair it up with a tinted moisturiser (as it almost acts like a primer). I will continue to use this whilst my skin hydration levels are up, but when the cold winter weather hits I will probably have to opt for something richer or mix in a few drops of oil with it, for a deeper moisturising effect. 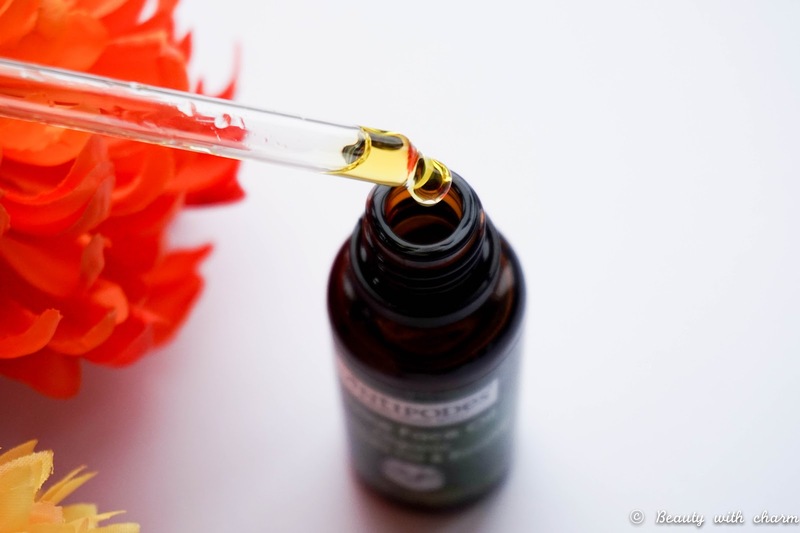 My favourite product of them all is of course the Divine Face Oil* (£19.99 for 30ml), no surprise there as I just love having oils included in my evening routine. 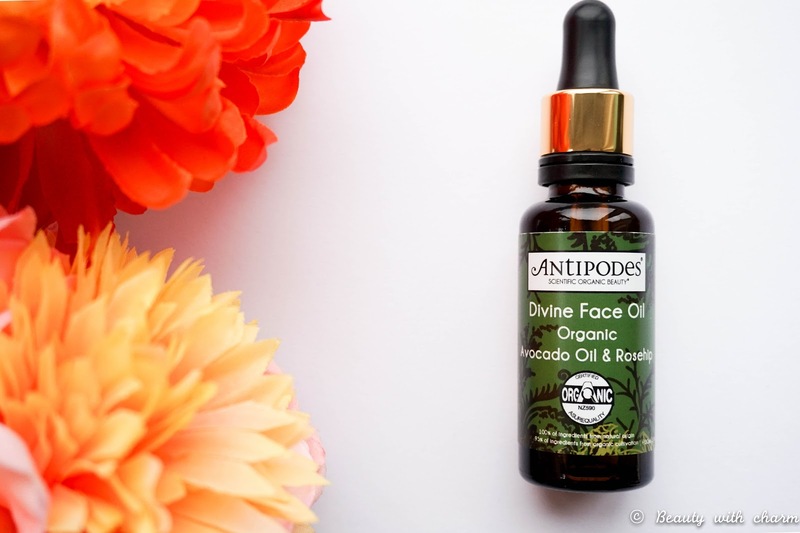 This nutrient rich oil contains avocado oil as well as rose hip oil, which are both fantastic antioxidants & collagen boosting ingredients that provide the perfect nourishment for healthy skin. Georgia May Jagger loves this facial oil, so I am instantly sold as soon as I read that. 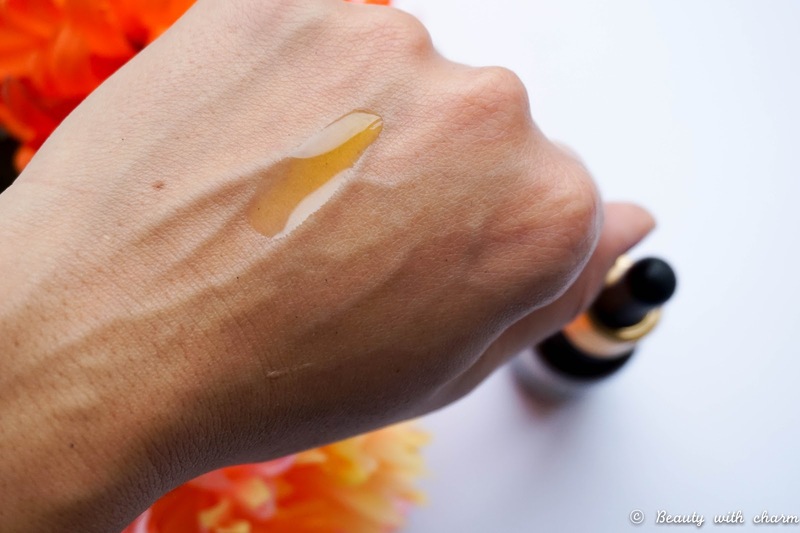 But if that wasn't enough I just love the super lightweight texture, which sinks into the skin almost immediately, so it can definitely be used lightly during the day too if you have dry skin. In fact I will be using this in the future along with the Rejoice Light Facial Day Cream when my skin will need a boost of hydration. The scent is once again light & not overpowering, with a hint of orange through it so I love it. Overall my skin is left feeling super smooth as soon as I apply it and the next day there isn't a single patch of dry skin in sight. I'm so happy I was introduced to Organic Beauty Week this year, as I think it's such a fantastic way to get people (like me for example) which are clueless about natural beauty products, interested in trying out something different. Organic Beauty Week is actually part of the Soil Association’s month long celebration of all things organic, so if beauty isn't exactly your cup of tea, there's so many other ways you can get involved this September. What I love most about this year's theme is that it's based around the Campaign for Clarity. This focuses of highlighting the importance of trust, confidence, clarity and transparency when buying organic beauty products. 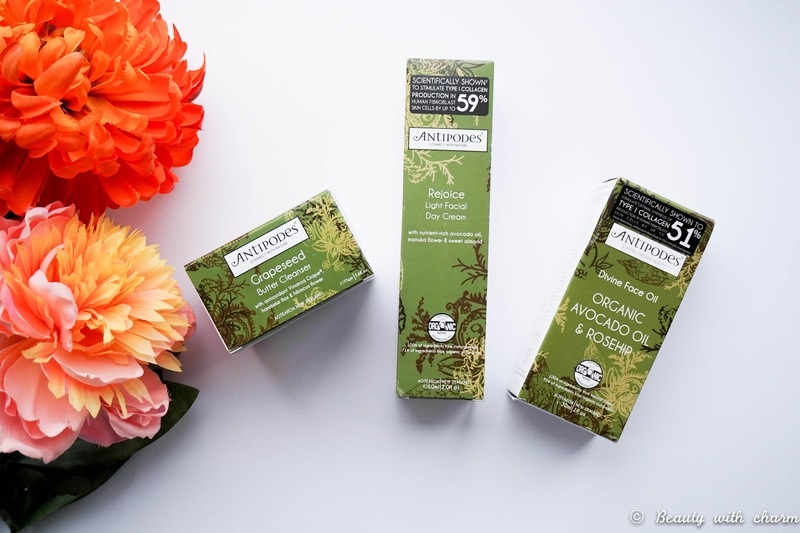 It's great to see so many brands get involved this year, along with the varied online/in-store promotions and events to really showcase how you can focus on achieving a greener beauty routine.